Henry Spring and Co. Ltd. reception at the Shelbourne Hotel, Dublin. 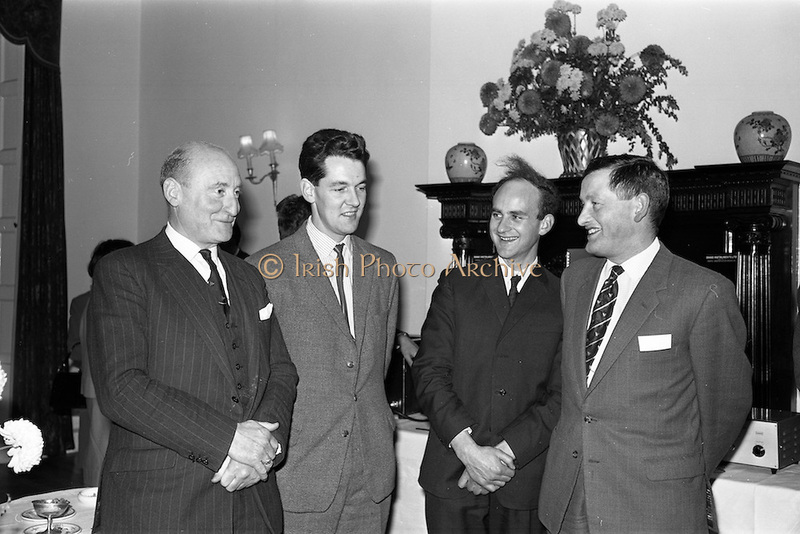 At the reception to demonstrate Ultra-sonic Cleaning for the Watchmaking and Jewellery Trade were (l-r): Mr. J. McDowell, Managing Director, McDowells Ltd.; Dr. B.T. Sterne, Institute for Industrial Research and Standards; Mr. Patrick Moss, Director, Weir and Sons Ltd. and Mr. J.H. Marshall, Director, Henry Spring and Co. Ltd..